Compost, done right, is just dirt. It has also been called black gold, so maybe it is more than just dirt. 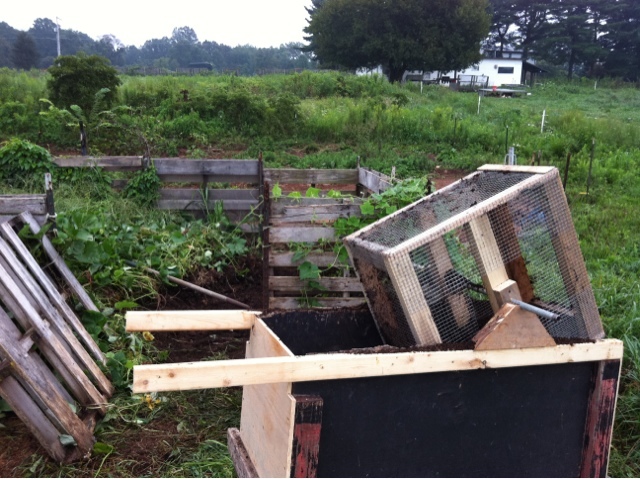 We take a variety of things here on the farm and combine them in our compost pile. Sawdust that comes from our local sawmill. Wood chips after being under baby chicks. Parts of poultry no one wants. There is also a neighbor who goes fishing and pulls in carp that is massive...no fish tale here...they are 4-5 feet long and heavy: he has his own bin, with sawdust. The strangest thing happens when all that stuff has time. It all breaks down and becomes soil. It smells like dirt, is a beautiful, rich black color, and fills in in beds beautifully. Seeds get planted and generally we get great production. We still need to figure out sweet potatoes: lots of vines, only tiny little slips every year. Something to study and plan adjustments this winter. Compost. Such lovely goodness from various things that look like garbage to many. 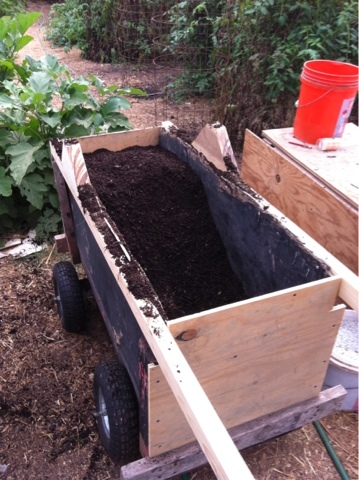 After it goes through Homer's farm made sifter it is really ready to cover a bed, providing nutrition for the next vegetable to grow there. Those plants in the bed behind? Tomatoes. Grown in compost. 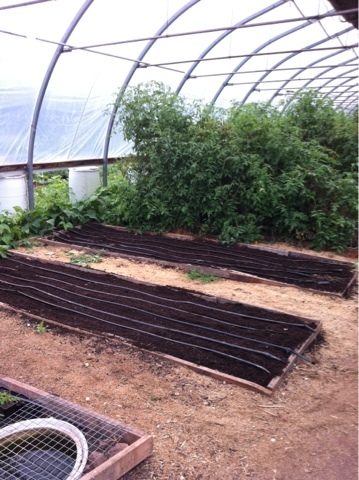 Reaching to the roof of the hoop house. No other fertilizer. Wicked good.